Qatar Airways has kissed the cloud almanacs by completing the world’s longest flight from Doha, the capital of Qatar, to Auckland, New Zealand. Qatar Airways Flight 920 covered a distance of 9,032 miles (14,535 km), taking around 16 hours, spanning 10 times zones in the process. Touchdown! #QR920 from Doha to @AKL_Airport now on the ground after nearly 16 hours. It took off from Doha on Sunday morning at 5:10am, passing over Dubai, northern Oman, the southern tip of India and Sri Lanka. It then flew over the Indian Ocean and Western Australia and landed in Auckland shortly after 7am local time on Monday. The return trip is actually expected to take even longer, 17 hours 30 minutes, due to prevailing jet streams. Tickets on the record setting flight cost $1,265 one-way for an economy seat while business class seats cost $4,500. 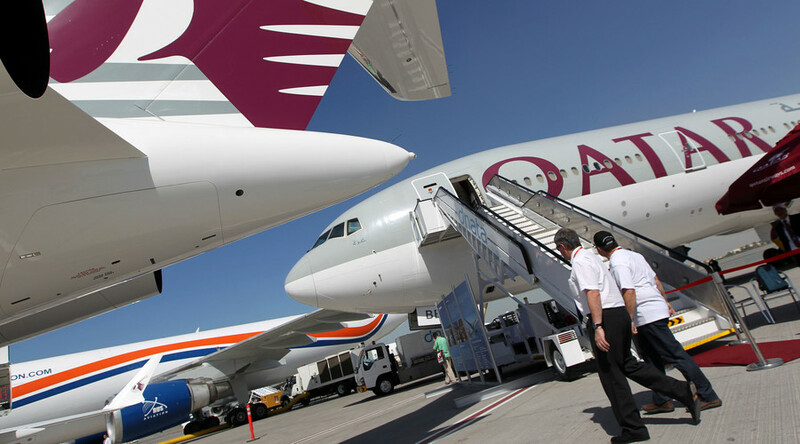 The previous record has held by Qatar's rival Emirates whose route from Dubai to Auckland covers 8,902 miles. Qatar may not hold the record for too long, however, as Singapore Airlines is planning on opening a route from Singapore to New York route in 2018, which will come in at 9,529 miles – some 497 miles longer. There is, of course, a little bit of disagreement between airlines as to which flight is longer as Air India argues that its Delhi-San Francisco flight is the longest, clocking up a distance of 9,506 miles. This isn’t based on the “Great Circle” distance (shortest route between two points on a sphere), however, flying over the Pacific Ocean instead of the Atlantic Ocean, which adds almost 1,400 km. According to the “Great Circle” route, Doha and Auckland are further apart on the surface of the Earth. The Boeing 777-200LR is described as being “one of the world's most technologically advanced aircraft” and is built for such long-haul flights with a maximum range of 10,840 miles. The plane measures 209ft 1in in length with a wingspan of 212ft 7in. It has a maximum fuel capacity of 181,270 liters and has 42 seats in Business Class and 217 seats in Economy.